It's been a long time since I've stayed up with a book till one a.m. on a weeknight, but to borrow my favorite borrowed line of the novel, "I was in the middle before I knew I had begun". That was the way of this book, making me devour pages with no knowledge of time, just sheer joy in the reading. Absolutely lovely. Let me give you a blurb, and we'll chat on the other side. This was such a uniquely told story that at first I wasn't sure what to make of it. Yet it tugged at me, begging me to turn another page. The characters were rich and their stories full, something I didn't think the format of this story would allow for, but Katherine Reay completely delivered. 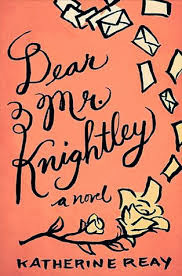 My only complaint of the story is I desperately wanted to see Mr. Knightley's response to some of Sam's letters, especially as I got to know Mr. Knightley better. As the story unfolded, I could guess at his responses, but the romantic in me wished to see those moments played out. However, I still fell in love with the story Reay tells through these characters. They embedded in my mind, causing me to smile, laugh, and cry with them--and that is what makes good story-telling. I didn't want to say good-bye on the last page. This will be a book I re-read sections from in the coming years. I highly recommend Dear Mr. Knightley to you, but with that recommendation I ask one thing. Give it a chance. It's a story told in a different way, but that is partly what makes it so intriguing. With each page, it draws you in a little more. There's no rushing within the pages, but a slow unraveling of complete healing against the backdrop of a sweet romance. Truly one of my favorite reads of the year. I happily give Dear Mr. Knightley 4.5 out of 5 stars. You can purchase it here. If you'd like to learn about the author, Katherine Reay, you can meet her here. AND...Happy Valentine's Day! Did you think I forgot the holiday? Well, truth be told, I nearly did. LOL. What's your favorite candy today? I'm all about anything chocolate. But when aren't I? 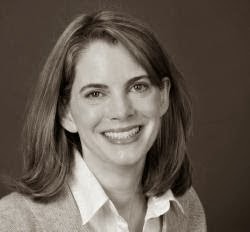 Thank you so much, Susan. I'm thrilled you loved the story -- I too wonder what Mr. Knightley thought at times :) As for candy, I'm with you… anything chocolate. He was such a great character! The more I read, the more I loved. Beautiful debut and I look forward to seeing the next story you tell! Thanks for introducing me to this book, Susan. I'll be sure to look for it.